Hello dear friends of Jessa's Freebies and welcome to our Easter Blog Hop with amazing new digi stamps. Oh my god, he is sooo cute with his bunny ears and the little egg in his tiny hands. 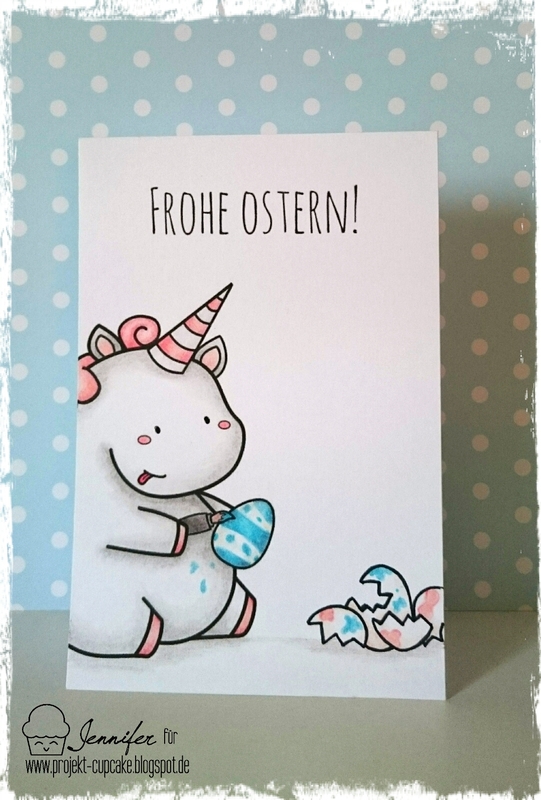 So I had to make a card with my fluffy little friend. I´m totally in love with the new freebies and I hope you love them too. 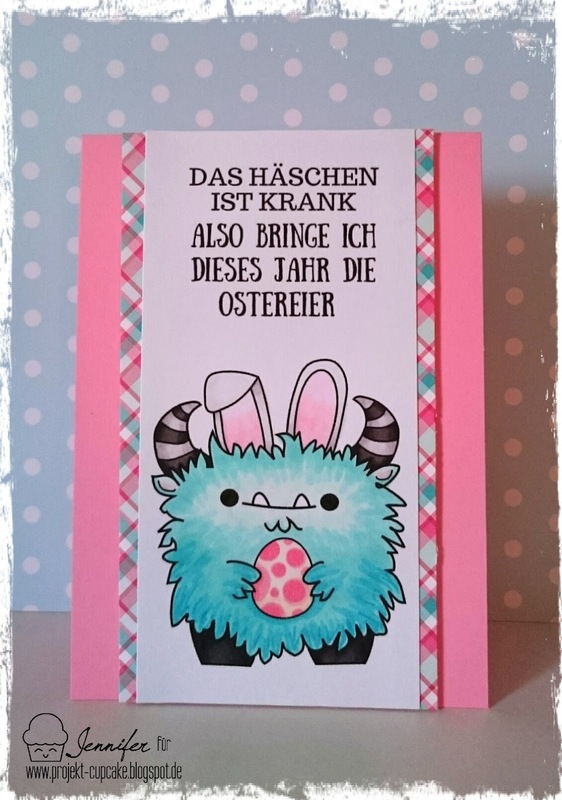 As I could not leave ignoring sweet Fluffy Gustav, I had to create a card with him as well. He is such a cute substitute for the Easter bunny, isn't he. To get some more inspiration visit our friends joining this blog hop. Hihihi, Keksdose zerdeppert die Eier. Ob er uns damit heimlich sagen will, dass er Veganer ist oder doch nur sehr tollpatschig mit seinen Hufen? Eure Karten sind absolut wundervoll! Ich kann mich Birka nur anschließen, toll dass ihr die Schriften gleich mit gelayoutet habt und überhaupt sehen die Karten supertoll aus! Sehr sehr witzig und so flauschig! Cookie Jar and his broken eggs is adorable!! Poor Cookie Jar, he tries so hard. And Gustav never looked better. Fabulous cards! Love all of these! Especially the tight crop on Jennifer's card with Cookie Jar. Awesome projects! Cute cards!! Cookie Jar is my favorite!